The rapid rise to power of ISIS, and its use or shockingly brutal tactics, has forced the world to re-consider its options for dealing with organized terrorist groups. Leaders in America, Europe, and the Arab world have expressed great outrage over the atrocities committed by ISIS. America has taken limited military action, as have Jordan, and eight Western nations, including France and the United Kingdom. These actions consist of air raids and limited provisions of weapons or equipment to the Kurds and the Iraqi military, both of which are under attack by ISIS. Iran has also provided support to the Iraqi military. While ISIS is being targeted, two other terrorist groups in the Middle East have not only largely or wholly escaped Western punishment; they have been treated as legitimate negotiating partners rather than lethal enemies of peace. They are Hamas and Hezbollah. While US President Barack Obama has called ISIS a “cancer,” such rhetoric has not been used to describe Hamas and Hezbollah. While the US bombs ISIS targets and supports full scale war against ISIS by Iraq and the Kurds, President Obama and the West have stated that while Israel has a right to defend itself, it must show “restraint.” This policy difference ignores important and substantial similarities among the terrorist groups, and has important implications for national defense and regional stability in the Middle East. Of course, ISIS, Hamas, and Hezbollah are not identical. 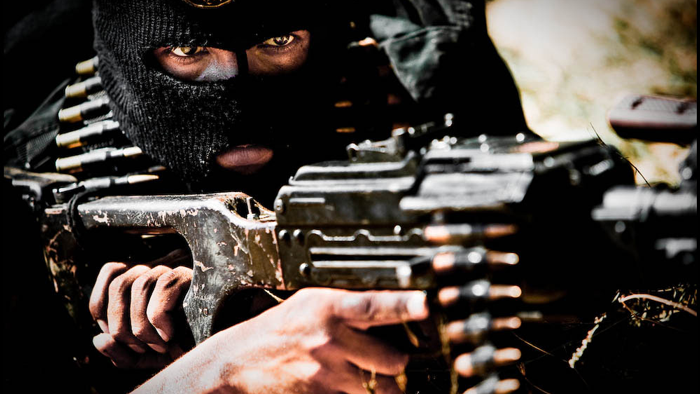 ISIS’ tactics are generally even more brutal than those Hamas and Hezbollah employ. The public executions and beheading of prisoners performed by ISIS members and posted on YouTube are a more shocking form of killing than rocket attacks, IEDs, terror tunnels and suicide bombs in public places. The fighting capabilities of the groups differ as well. ISIS is well armed and, despite some recent setbacks, has proven to be an effective fighting force, capturing large swaths of territory. Hezbollah’s main weapon, currently, is rockets, but it has been moderately effective in ground war, capturing and holding onto southern Lebanon. Hamas has inaccurate missiles and limited arms, but it controls Gaza and can hit military and civilian targets across most of Israel. These groups are also sometimes in conflict with each other. Currently Hezbollah (supported by Shi’ite Iran) and ISIS (Sunni in composition) are battling in Syria. The stated goals of the groups are somewhat different. ISIS seeks to establish a caliphate spanning, if not the entire world, at least the Muslim nations in the Middle East, parts of Asia, and North Africa. ISIS has threatened to launch terrorist attacks on America and Europe, whom it perceives as enemies of Islam, and claims it has “sleeper cells” in these locations. ISIS has shown great cruelty to those it rules, especially non-Muslims or those who practice what it believes to be the “wrong” kind of Islam. Hamas and Hezbollah consider themselves liberation movements, and have expressed the more local goal of destroying Israel. Hezbollah, however, has attacked foreign, and Western, targets within and outside of Lebanon. Hamas has repeatedly attacked not just Israel, but also rival Palestinian groups. Hezbollah is part of a democratic government in Lebanon, meaning it has electoral concerns. Hamas governs Gaza, but is an unchallenged dictatorship that has shown little concern for the needs of its people, building terror tunnels instead of schools and hiding soldiers among civilians. While these differences are important, there are important similarities between the three groups. ISIS, Hamas, and Hezbollah all view the use of terrorism, and attacks on civilian populations in particular, as a legitimate political strategy. ISIS has threatened to attack the West, and may be behind a recent failed attack in Texas, and Hezbollah has carried out such attacks, and is believed to be behind the 2013 bombing of a civilian bus in Bulgaria. ISIS has been accused of genocidal behavior, this, however, does not really separate ISIS from Hamas, whose Charter contains not just calls for the destruction of Israel, but statements supporting the killing of all Jews, everywhere in the world. Hamas’ leaders have called Jews “cancerous lumps.” Hamas has broadcast children’s programs on their TV network explicitly instructing children to kill Jews, and “shoot the Jews.” Such Hamas rhetoric is very similar to ISIS’ statement that it is only a matter of time before ISIS fights the “barbaric Jews.” For its part, Hezbollah has frequently attacked Christian groups and refuses to work with any organization that has relations with Israel. Its leaders have a long history of threats to America and Europe and frequently make anti-Semitic statements., including calls for violence against Jews. In addition to attacking enemies outside their territory, both Hamas and ISIS have murdered civilians in areas fully under their control. Hamas reportedly executed dozens of citizens who worked as tunnel diggers, often under coercion, in fear they would tell Israel the tunnel’s locations. In August 2014, Hamas also executed twenty-five “collaborators” in a span of just four days. Similar to ISIS, some of the executions were conducted in public in front of crowds that included children. These were Hamas’ first public executions since 1990, which raises concern that Hamas is growing more extreme and thus more similar to ISIS. The Palestinian Authority has condemned the executions, saying they were “cold-blooded” and offensive “to our people and our families.” The executions, just as with ISIS’ executions, are conducted, according to Amnesty International and the Palestinian Authority, without fair trials. In fact, there may have been no trials at all. A critical similarity between these groups is their lack of interest in meaningful negotiation. They do not respect other points of view and they do not compromise. At no point has ISIS expressed any interest in negotiations or even discussions. Hamas attended negotiations with Israel in Cairo during Operation Protective Edge and eventually accepted a cease-fire, but there is no evidence they have a sincere desire to reach a long-term deal that would allow for the establishment of a Palestinian state living in peace with Israel. Rather, they wished to have a cease-fire in place so that they could rebuild their munitions and their ability to attack others. Tellingly, the new cease-fire is nearly identical in substance to the 2012 deal that ended the previous round of fighting, and which broke down in a hail of Hamas rocket fire after Hamas had accumulated a new store of rockets. The deal includes a vague agreement to hold future negotiations, rather than any substantive commitments or changes in the relationship of Hamas to the Palestinian Authority, Egypt or Israel. In the past, Hamas has indicated some willingness to work in collaboration with the Palestinian Authority, but it has always gone back on its word, often with violent consequences. Hamas leaders have occasionally stated they would be willing to accept Israeli and Palestinian states along the 1967 borders, but their actions have belied this claim, as well. In 2010, Hamas leader Mahmoud Al-Zahhar, stated that while Hamas would accept such a border, it would never recognize Israel and would continue to fight until Israel was gone. After accepting the current cease-fire, Hamas stated the cessation of attacks was temporary and that the next step was “liberating Jerusalem.” Hamas is already re-arming for the next round of fighting. It has resumed manufacturing rockets, smuggling, and building terror tunnels, and stated that the weapons of the “resistance are sacred.” Similarly, Hezbollah, while saying it does not desire war, has said that it is ready should one occur, and has stated it will never recognize Israel, making clear it has no interest in a negotiated settlement. Hamas and Hezbollah’s actions, including their deliberate killing of civilians and disinterest in compromise, shows that they have a great deal in common with ISIS in their core beliefs and practices. While ISIS has been more successful than Hamas or Hezbollah in expanding the territory under its control, that does not mean that ISIS should be viewed as “worse” than Hamas. Hezbollah has successfully fought others to gain local dominance, and Hamas has successfully captured Hamas and also desires to expand the area under its control. Part of the reason for these different outcomes is that the groups are attacking different targets. ISIS is conquering territory in Syria and Iraq. In civil war torn Syria it faces no real opposition, and in Iraq it is fighting against a national Iraqi military that is still struggling to develop into an effective fighting force. Hamas, by contrast, has been blockaded by Israel and Egypt, and faces the organized, disciplined, and effective Israeli Defense Force. Thus, Hamas faces the two most powerful and effective armies in the Middle East and Arab World. Along these lines, demonstrating that ISIS may not be as militarily effective as feared, after initial successes fighting the under-armed Kurds, ISIS has been driven back. ISIS’ initial success was due in great measure to their superior weapons, but the Kurds have re-captured key locations after they received weapons from the West. The Iraqi military is beginning to find success against ISIS as well. Focusing on the differences between these three groups misses key points and may lead to bad policy decisions. Groups that look to bring death and destruction, and have the capacity to do so, must be treated similarly and their goals must be rejected, no matter if their stated intentions are global or regional. Aside from the ethical issues of ignoring brutality against ethnic or religious groups, rarely in history have extremists accomplished a local goal and then been satisfied and gone on to establish responsible governments. If ISIS were to achieve its goal of a caliphate, it is highly likely it would look to continue expanding. If Hamas destroyed Israel, it would likely try to defeat the Palestinian Authority. If it achieved that, there is no way to know what it would target next; perhaps Jordan, where the majority of citizens are Palestinian. Hezbollah, in addition to continued threats against Israel, has already sent fighters into Syria. What these groups choose to call themselves makes little difference. ISIS calls itself a “caliphate” while Hamas and Hezbollah claim to be “liberation movements,” but this distinction is not accurate. In reality, their actions demonstrate that all three are terrorist groups more interested in achieving power through killing than peace. Importantly, none of the groups are tolerant of other ethnic or religious entities and all have expressed their desire to destroy those of other beliefs. This means that the interests of Hamas and Hezbollah are inherently global, not local. All three of these organizations must be treated as dangerous not only to their regions but to the entire world. Treating ISIS differently than Hamas and Hezbollah grants the latter two standing as negotiating parties and legitimate actors that they do not deserve. While there is no doubt that diplomacy is preferable to violence, none of these three groups are responsible diplomatic partners, and history is replete with disasters that occurred following negotiations with untrustworthy parties. Officially the US recognizes Hezbollah as a terrorist organization, and thus refuses to talk with it. Unofficially, there have been reports of indirect US-Hezbollah talks. While Israel has been pushed to negotiate with Hamas and the US has stated that Hezbollah could help bring a “legitimate” political solution in Syria, no one is proposing talking to ISIS. In the end, viewing Hamas or Hezbollah as “better” than ISIS and treating them as legitimate or acceptable partners rewards terrorism. Rewarding terrorism only invites more terrorism. The final point is not one of policy, but one of moral equivalency. ISIS’ choice of tactics, including beheading captives is more brutal to watch than the tactics used by Hamas or Hezbollah to kill opponents or their own citizens, but the end result is the same. The civilian or soldier killed by a rocket is just as dead as the civilian or soldier killed by beheading or mass execution. The means used to kill are not the critical feature to examine. There are criticisms that could be made of America, the West, and Israel, as regards meaningful discourse with others. It may or may not be true, for example, that Israeli Prime Minister Benjamin Netanyahu is uninterested in negotiating a solution to the Israeli-Palestinian conflict. Recent comments do raise serious doubts regarding his sincerity. America has also ignored international consensus on numerous occasions. However, there are fundamental differences between the West, including Israel, and these terrorist groups. While Israel must work to improve its record in regards to attacks on Arabs and Arab property, Israel not only has never called for genocide, it condemns and arrests citizens who harm Arabs. Further, while all nations have killed people, the circumstances are hugely different between modern nations and terrorist groups. Western nations no longer wage war for reasons of religious or ethnic hate. Most are working towards greater inclusion and acceptance. Also, unlike the terrorist organizations discussed above that aim to kill civilians, Western nations and Israel attempt to ensure their attacks kill as few civilians as possible. Israel is in a much more difficult situation than the US or Europe in this regard, as it is being attacked by terrorist groups that place their weapons and station their soldiers in civilian settings, using the population as shields. There is debate as to whether Israel has done all it could to avoid injuring civilians in defending itself against terrorists, but there is no doubt that they have made great efforts to do so. Indeed, two leading US scholars on the law of armed conflict, Michael Schmitt and John Merriam, released two articles regarding Israeli targeting during conflicts. The authors concluded that Israel’s policies and actions are legal, are largely in keeping with US policy, and that Israel’s targeting policies are “in many cases, worthy of emulation.” The US has also been criticized for not doing enough to protect civilians during their attacks in Syria, Iraq and Afghanistan. The US and Israel must do better in this regard, but they, unlike ISIS, Hamas or Hezbollah, do not intentionally injure civilians. There are differences between ISIS, Hamas, and Hezbollah. Overall, however, these differences should not be allowed to obscure the profound and disturbing similarities. The world needs to come to the realization that all terrorism must be met with strong resistance. This is an issue of both morality and practicality. As long as Hamas or Hezbollah are viewed as less “bad” than ISIS and are seen as parties that can be reasonably dealt with, there can be no peace in the Middle East. Any organization that calls for the destruction of others based on beliefs, ethnicity, or nationality cannot be tolerated and cannot be treated as a legitimate negotiating partner. They must change their ways and goals or they must be opposed and removed from power. The world will be safer and better without ISIS, Hezbollah, and Hamas. Matthew S. Cohen is a PhD candidate and Lecturer in Political Science at Northeastern University and an Adjunct Instructor at Merrimack University specializing in both emerging security threats, with a focus on cyber-security, and the Middle East. His works can be found at his Academia profile.